Today we opened the Air Peppa Holiday Jet and Holiday figurine packs. My 3 year old has been lusting after this in our local toy shop so was overjoyed to receive it. It’s a lovely colourful toy, includes a Peppa Pig figure and 2 suitcases. You can store the suitcases in the baggage compartment and the jet doors open so you can send Peppa and her friends off on holiday. This is a great stand alone toy but also fits in really well with our existing Peppa toys, especially the Peppa Pig Holiday Time Sunshine Villa. My 5 year old set the new toys up like this as he thought it would make a great photograph to show you! They’ve also enjoyed a couple of Peppa Pig Colouring Sets which were a real life saver when they were tired and hungry the other evening. The set included 8 x colouring sheets, 4 x colouring pencils and re-useable stickers – just the kind of thing my children love. In case your children are in need of some half term fun with Peppa Pig then don’t forget to take a look at the Peppa Pig website. 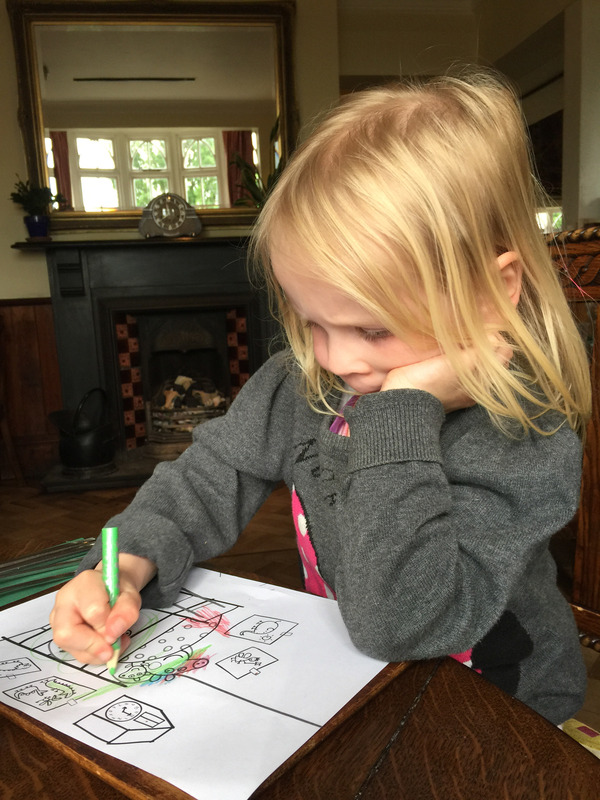 You will find lots of colouring sheets to print out and you’ll also find Peppa’s Activity Maker with 38 indoor and outdoor activities ranging from a Bug Hotel to and Pit Fun – perfect for this lovely warm weather we’re enjoying. 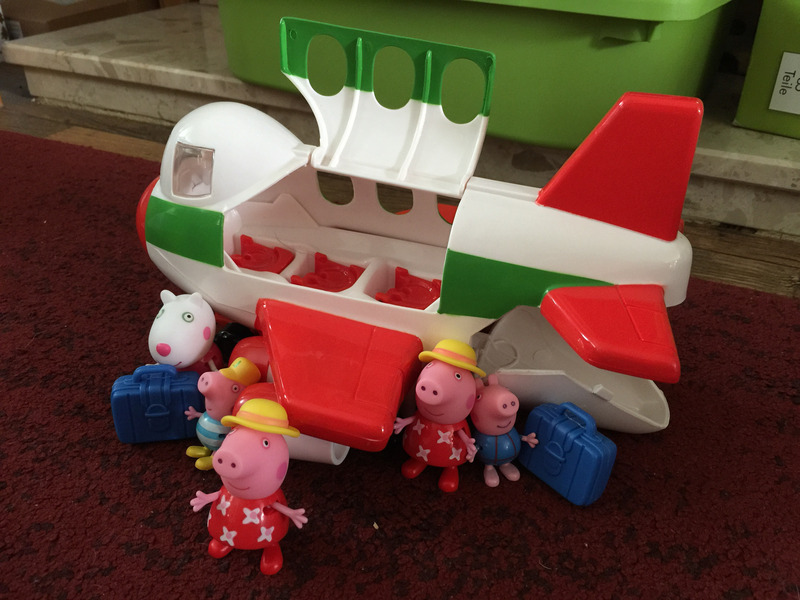 We love Peppa too, love the look of the Peppa Jet whisking them all away on holiday! It’s a really cute Peppa toy although today it’s been carrying Cars and Shopkins around the house. Well, since I don’t have children, I do not follow Peppa Pig.